Designed and equipped for testing electric-, pneumatic and hydraulic controlled actuators. The range of static (torque) performance testing, measured by calibrated sensors, runs from 0 – 500,000 Nm / 370,000 lbf. The dynamic test procedure subjects the actuator to a simulation of a torque resistance pattern of a quarter turn ball or butterfly valve. 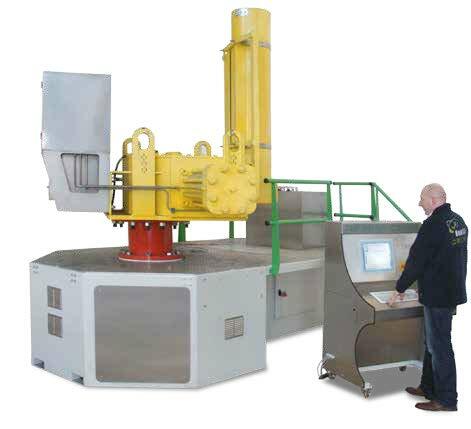 The touch screen operated control system offers flexible programming of the settings and test criteria.